Sometimes the most beautiful gift is also the simplest and most thoughtful. 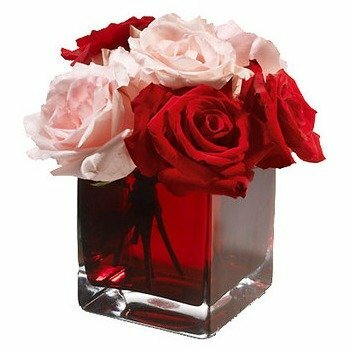 This lovely and classic bouquet of pink and red roses, carefully arranged in a garnet-red glass cube vase, expresses love and friendship in equal measure. It’s pure petal poetry! * I Always use 1st In Flowers. No hassles and they're always beautiful!